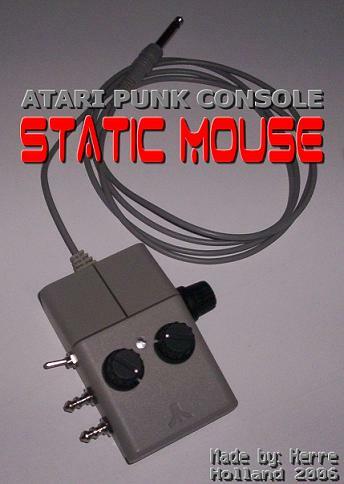 Herre from Holland spent 3 whole days creating this incarnation of the Atari Punk Console circuit in an actual Atari Mouse case. It features touch contacts for pitch changes and knobs for wobbly controls. No website yet just an image, however it goes to show that anything can be turned into a sound making gizmo.